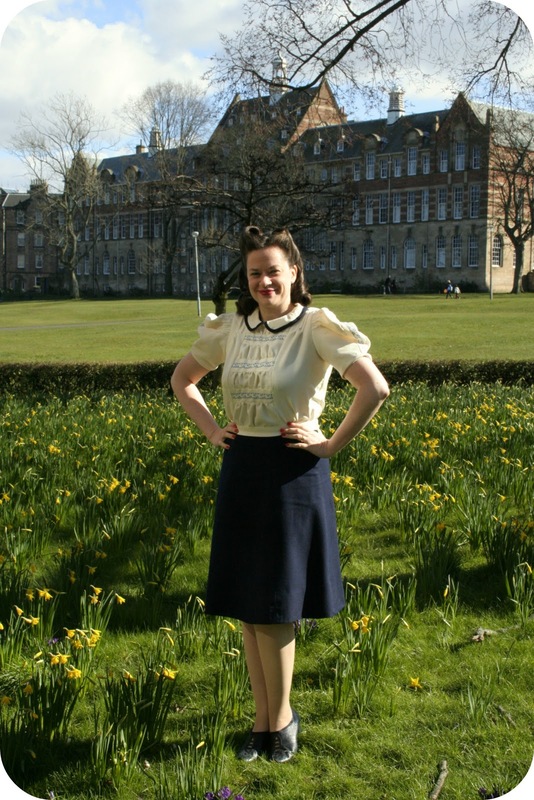 News Alert: The Guardian Fashion Blog Gets into Sewing! The Guardian--one of my favourite newspapers EVER....and guess who's just joined their fashion bloggers network?? Karen from Did you Make That!!! 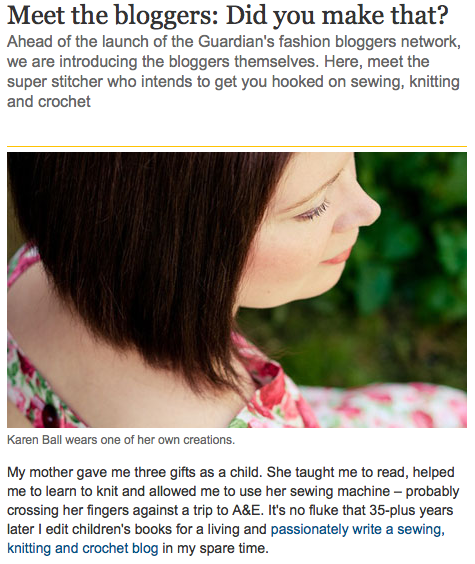 I am SUPER excited to see Karen's amazing work featured and that she will get more people excited about sewing, crochet and knitting! 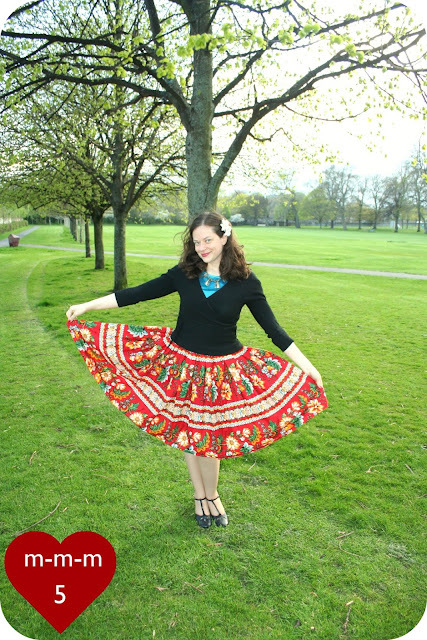 I LOVE Karen's writing so can't wait to see some of the features she has in store (Sewing in Sixty Seconds tutorials, guides to fabric stores, Knifty Knitting Projects...and more) YAY! 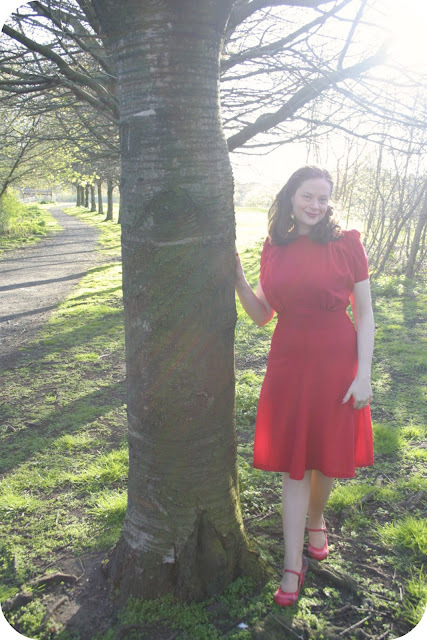 The PatternPatter Team, sellers of vintage and newer sewing patterns and notions, will be celebrating the team's 2nd anniversary by hosting a Black Tie listing party!! These Etsy sellers will be listing patterns for formal gowns, men's formal wear, as well as a variety of patterns for all occasions. In addition to the many new pattern listings being made available, many shops are celebrating by offering discounts to their customers! A list of participating shops as well as links to the new listings as they become live will be available in this public thread (or by clicking the picture in my right sidebar). I am SO excited!!! 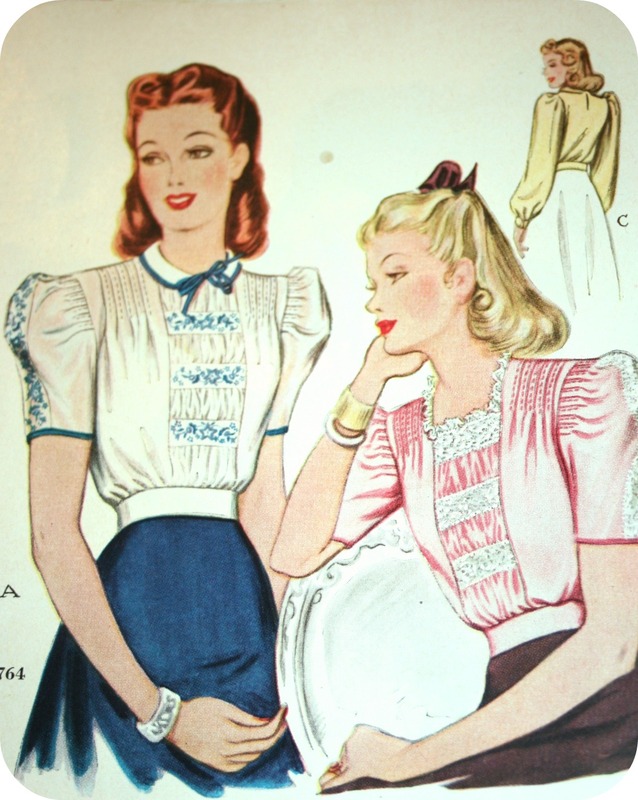 YAY for all the Etsy sellers that bring us beautiful vintage patterns! In celebration of Cinco de Mayo, I wore my 'Kitten' 1950s skirt and my 'Pretty Pendrell' blouse underneath a sweater (it's still not that warm yet!). It's a Scottie dog day!! I wore my new 'Scottie Dress' (McCall 3820 from 1940) with my Scottie dog shoes from Irregular choice and my Ness jacket. I love my 'Luck o'the Irish' dress (also from 1940) so much--it's super, super soft. 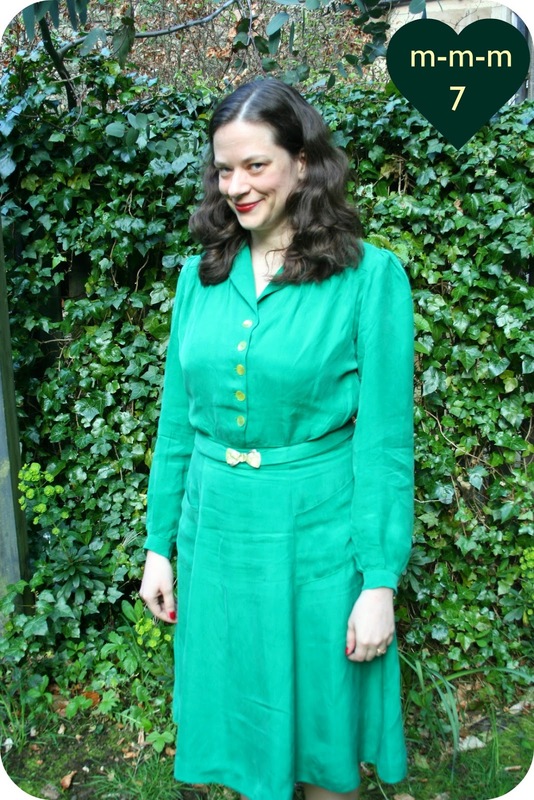 The green is a hard colour to photograph but it's a bit more emerald green in real life! 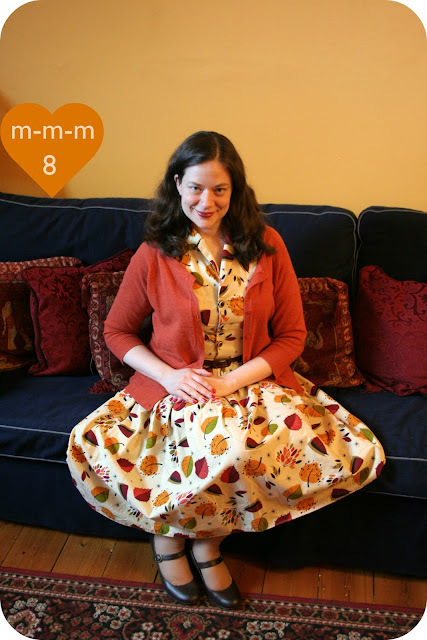 I revisited an old favourite today, my 'Midcentury Madness' dress which I wore with a pumpkin cardigan and brown Mary Jane shoes. Day 9: Big day at work today!! 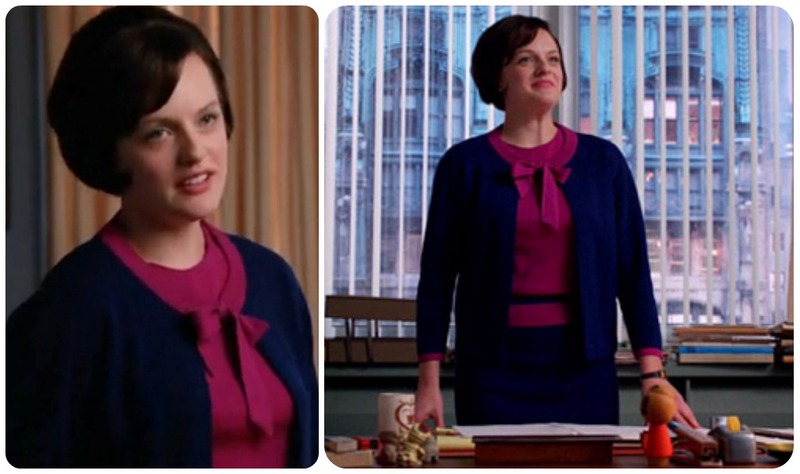 This is my power outfit. 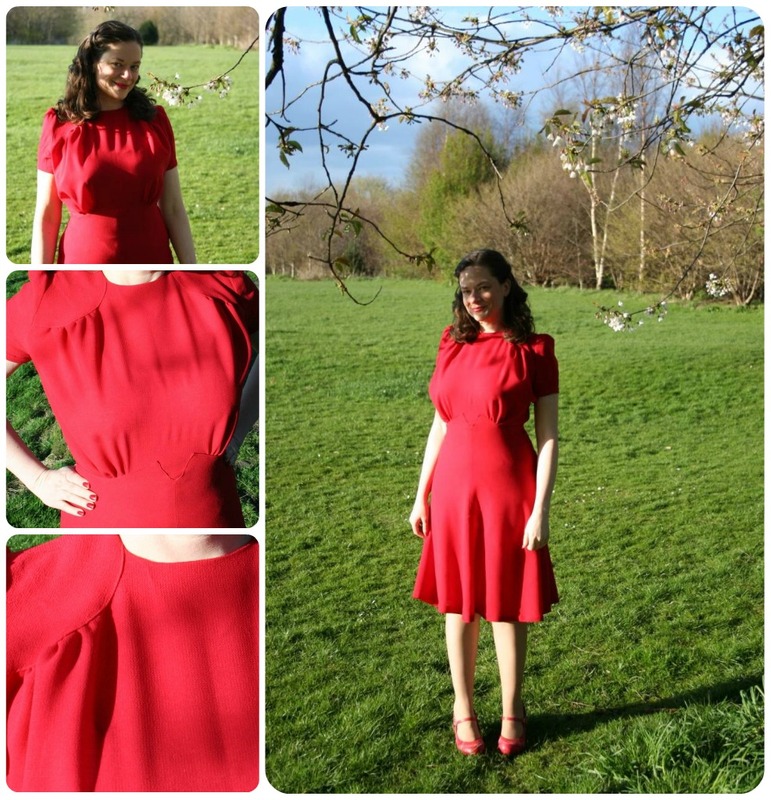 The 'Hawk's Eye View Dress' is from the BurdaStyle Sewing handbook. 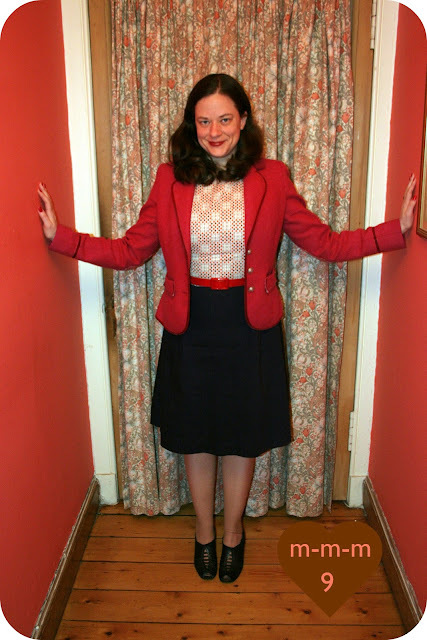 I paired the dress with my red Ness Jacket, vintage 1940s shoes and a red belt. We took the photo in our very brightly painted hallway--which messes with the colour a bit (no need to adjust your screen...lol)! On day 10 I wore my 'Rabbie Burns' dress. I just love this dress and wear it all the time. I wore it with black boots and a black belt. Date day! David and I went to our favourite local tea parlour, Anteaques, to enjoy high tea. 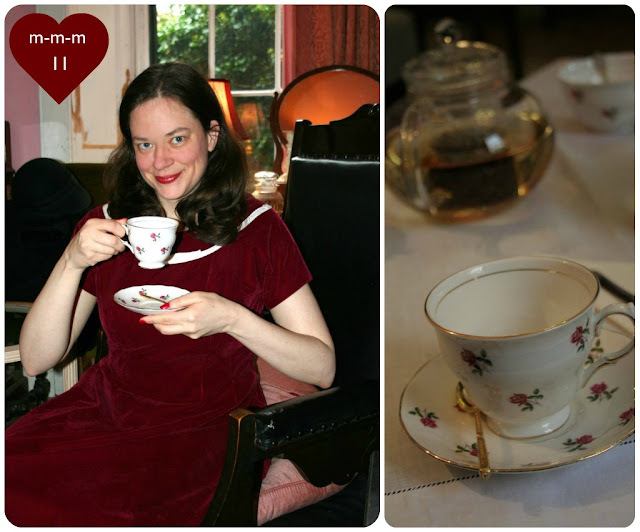 I wore my 'Celebration' dress while enjoying Margherita Assam and a tasty scone with fresh cream and jam. 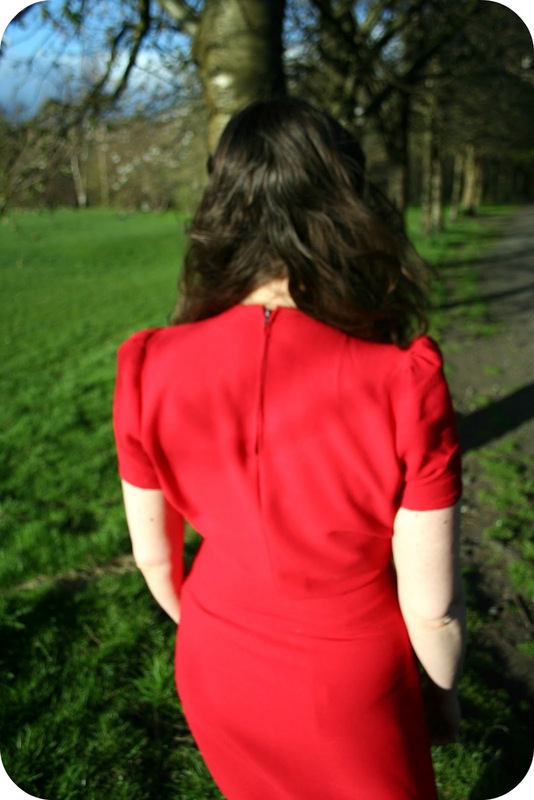 A trip through the local Regent Road Park called for a casual dress. 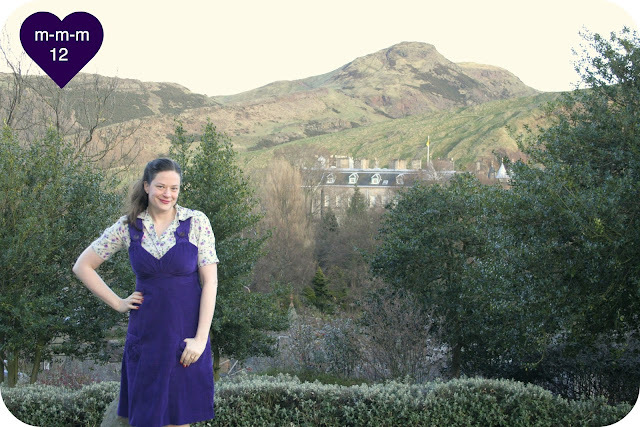 I wore my 'Purple Parfait' pinafore with my 1940s Dubarry blouse. YAY! 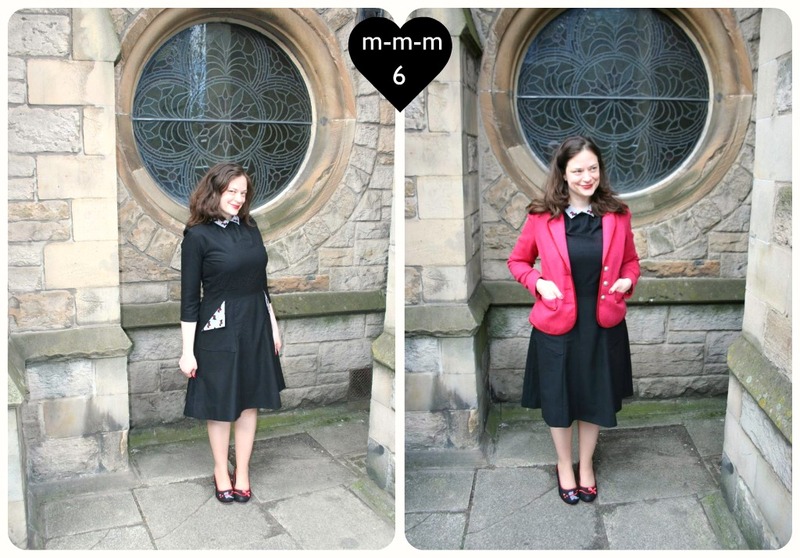 Me-Made-May is so much fun. 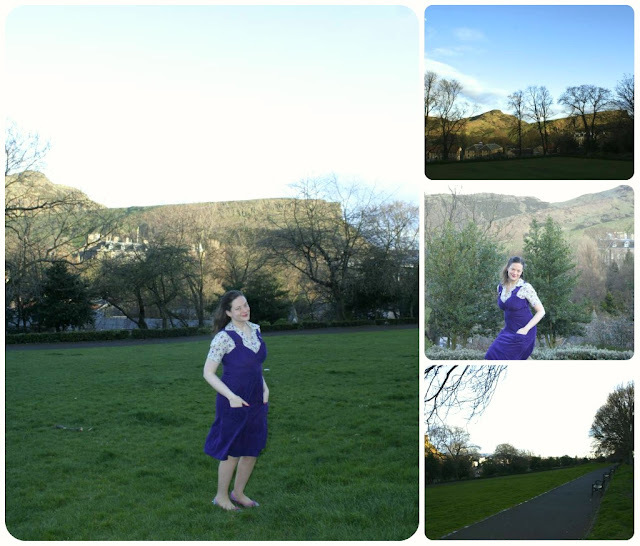 A super big thank you to David for taking all the photos! 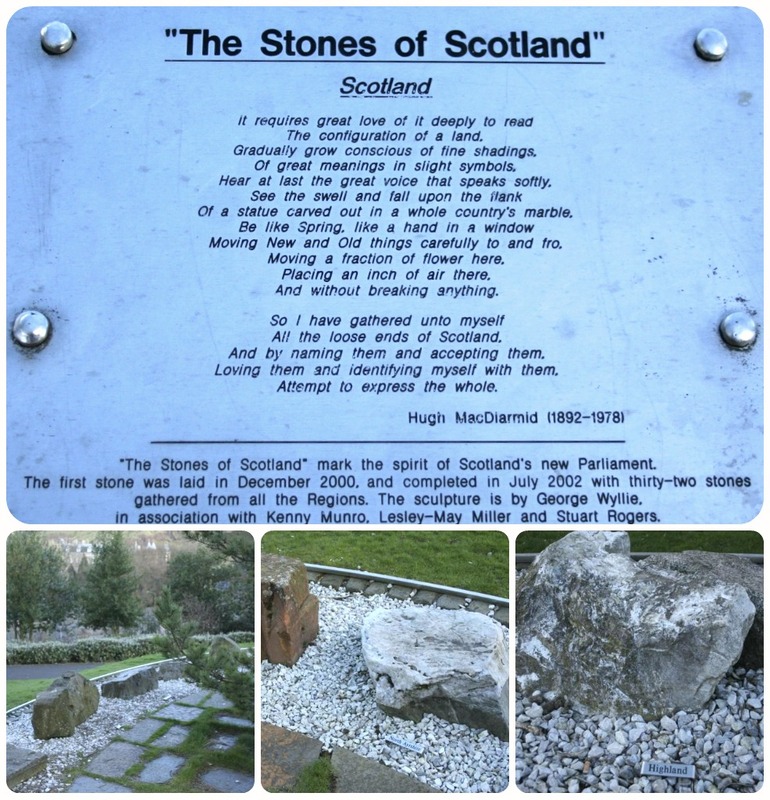 Today I want to highlight a real hidden gem in Edinburgh--Regent Road Park. 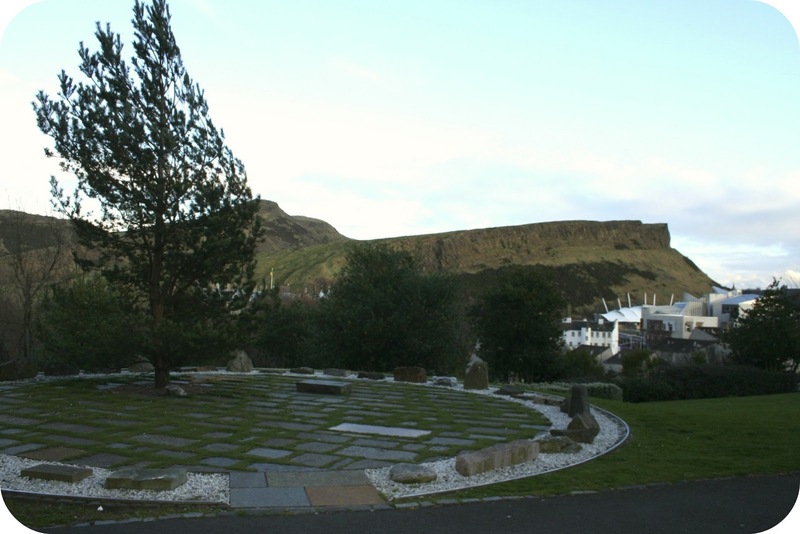 This very small park is such a tranquil place with views of Arthur's Seat, Holyrood Palace, and the parliament building. The configuration of a land. Of great meanings in slight symbols. Hear at last the great voice that speaks softly. Of a statue carved out in a whole country's marble. 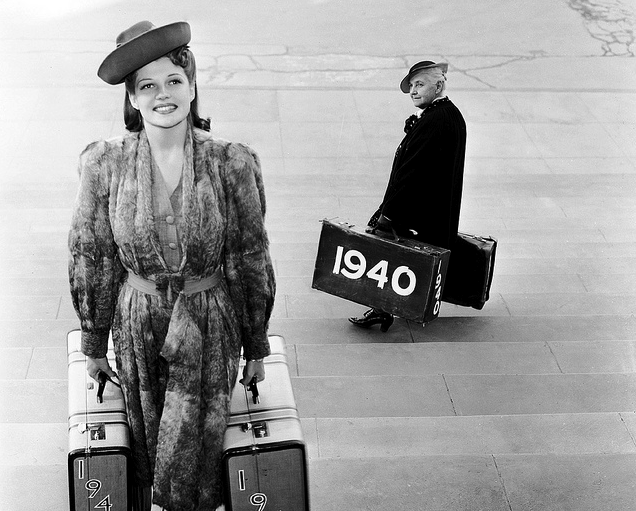 Moving New and Old things carefully to and fro. Moving a fraction of a flower here. Placing an inch of air there. 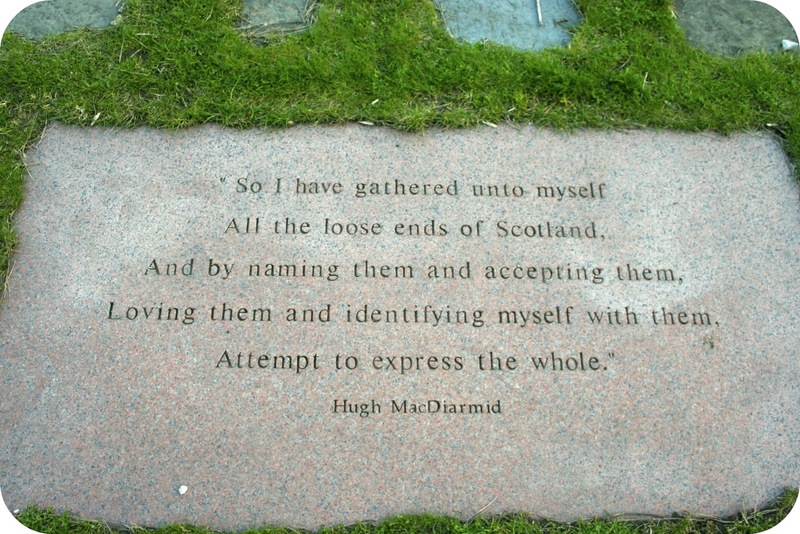 All the loose ends of Scotland. And by naming them and accepting them. Loving them and identifying myself with them. How beautiful and touching is that? Hope you have a lovely Sunday and a lovely Mother's Day to those in the States (including to my own wonderful mum)! 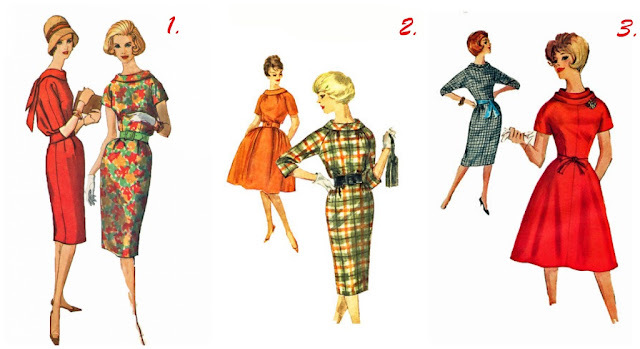 Time for another installment of Mad Men Sewing!! But first I wanted to thank everyone for you lovely, lovely comments on my McCall blouse post! 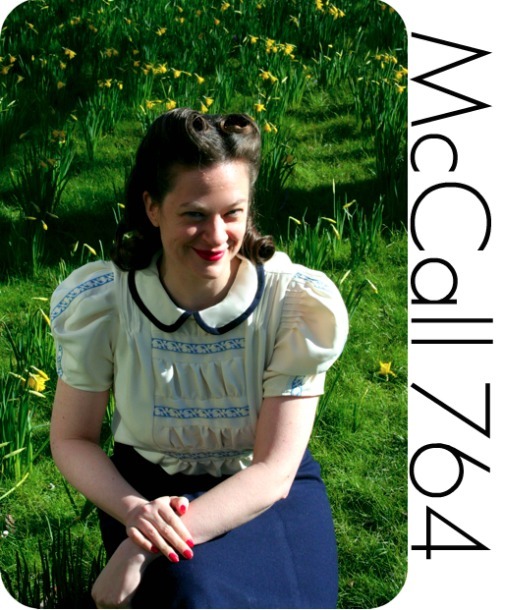 *big hugs* I also wanted to alert those of you that were looking for the pattern (McCall 764 from 1940) that there is one currently for sale on Etsy. Also, I know the Great Gatsby opened yesterday in the States...I can't wait until it opens here this next Thursday (the 16th)! 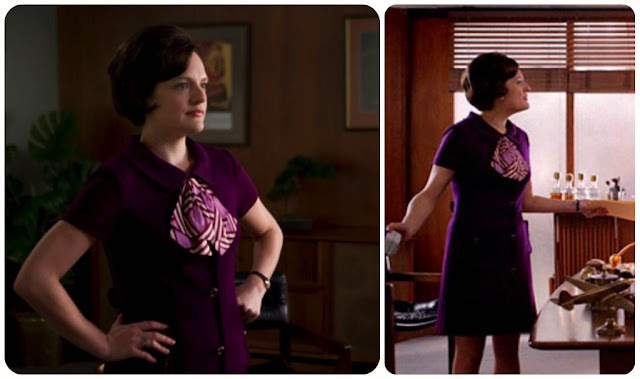 Right, now onto Mad Men...I'm going back to episodes 3 to take a look at the fashion and to find similar vintage patterns. But did you see last week's episode (episode 6)...definitely my favourite so far. I can't believe Don and Ted will be working together! What are your thoughts? 1. Simplicity 3522, available at the Cynical Girl Etsy Shop; 2. Simplicity 6895, available at Adele Bee Ann Patterns Etsy Shop; 3. 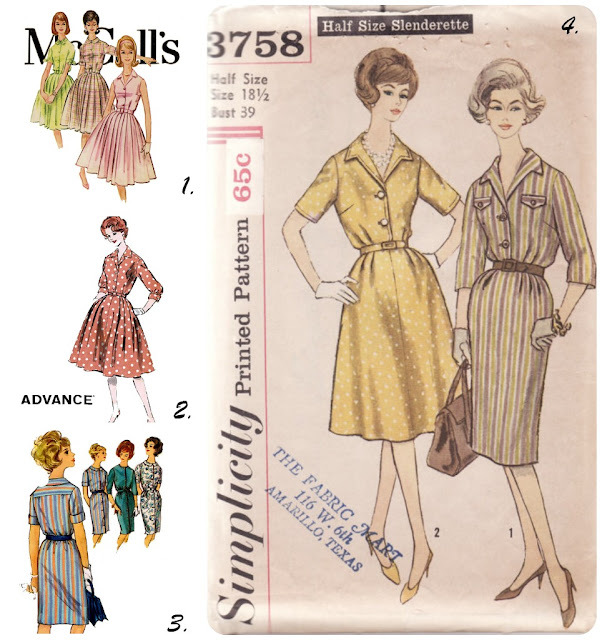 Simplicity 5986, available at RetroMonkeys' Etsy Shop; 4. 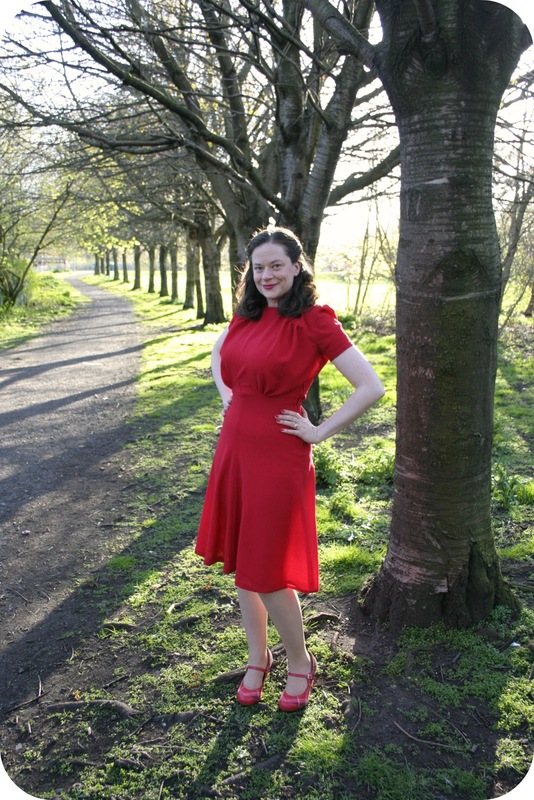 Butterick 3102, also available at RetroMonkeys' Etsy Shop; 5. Simplicity 7223, available at J Ferrari Designs Etsy Shop; 6. 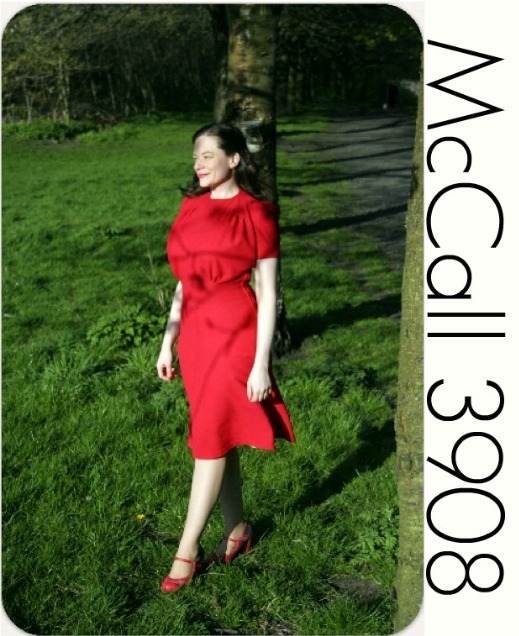 Simplicity 6057, available at Sydcam 123 Etsy Shop; 7. 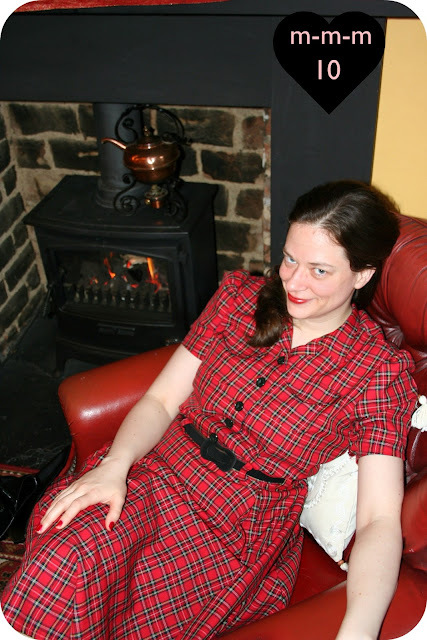 Advance 9453, available from the Cynical Girl Etsy Shop; 8. 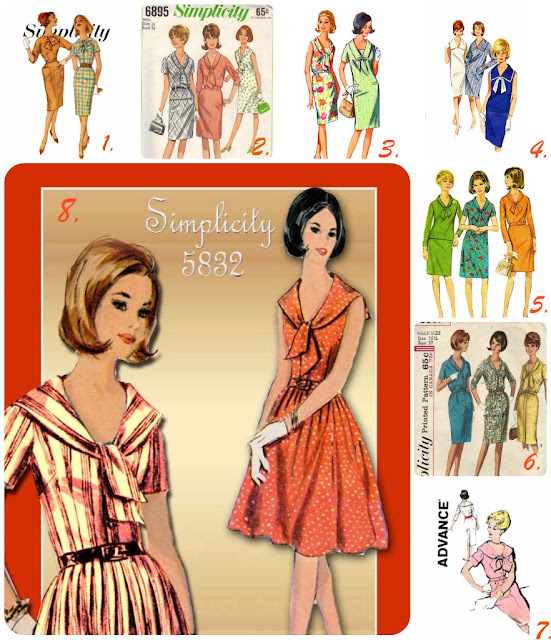 Simplicity 5832, available at Floradora Presents Etsy Shop. 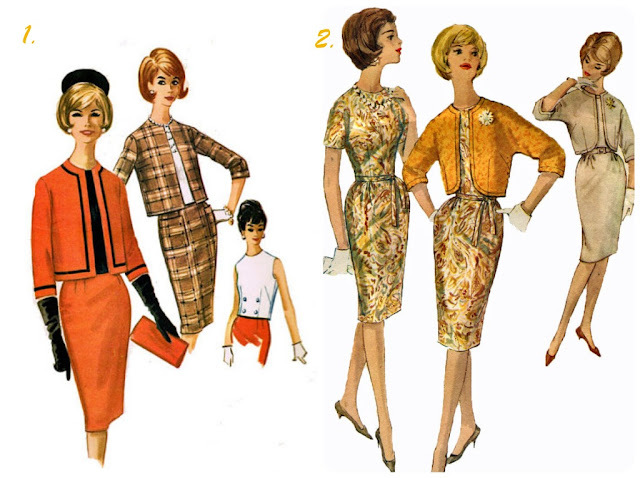 Which 1960s style is your favourite? 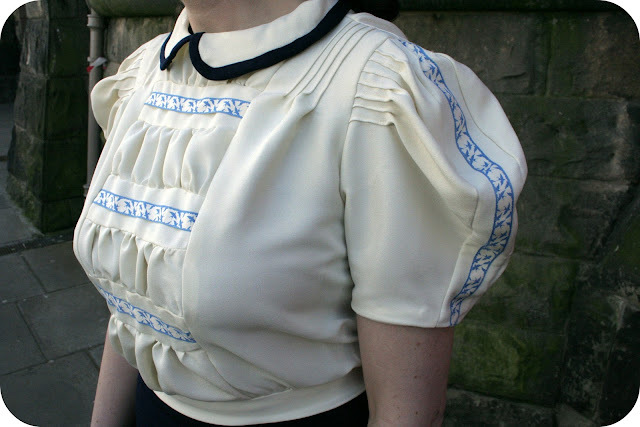 McCall 764: Two-toned embroidery offers a charming trim for the sheer blouse of crisp organdy, batiste, fine lawn, dimity or crepe de Chine. 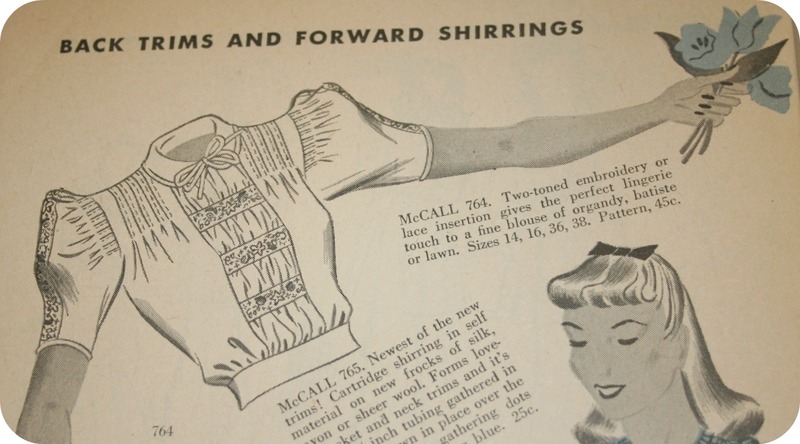 Or lace insertion may be used for an airy effect. 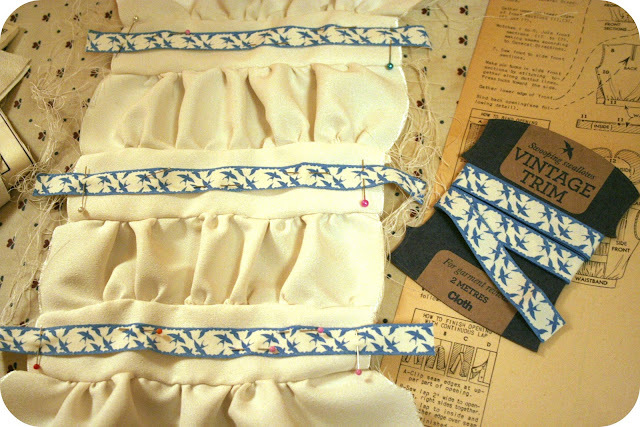 You see, I was contacted by Cloth magazine since they were going to include a free gift for readers of this month's issue (issue 18) of a vintage inspired 'swooping swallow' trim--they wanted to know if I would make something from the trim and send them pictures so that they could include in the magazine so readers could get some different ideas of how to use their trim. Of course I said yes!!! I adore Cloth magazine and their blog (the most fashionable sewing magazine around imho). I knew I wanted to make something that was completely me....and so I turned to my 1940 McCall patterns for inspiration and doesn't McCall 764 just jump out as the perfect match?? 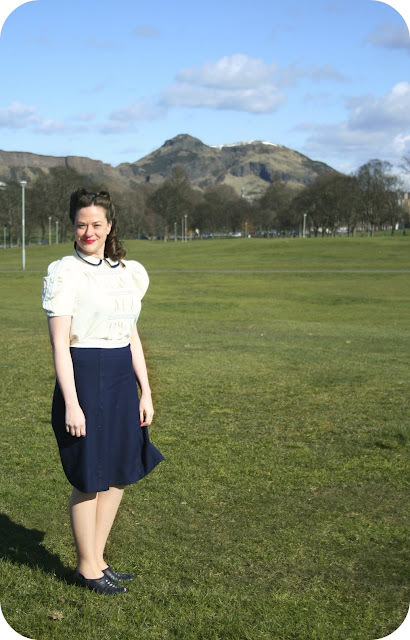 We took these photos in 'The Meadows', a large park in the center of Edinburgh. Such stunning scenery! 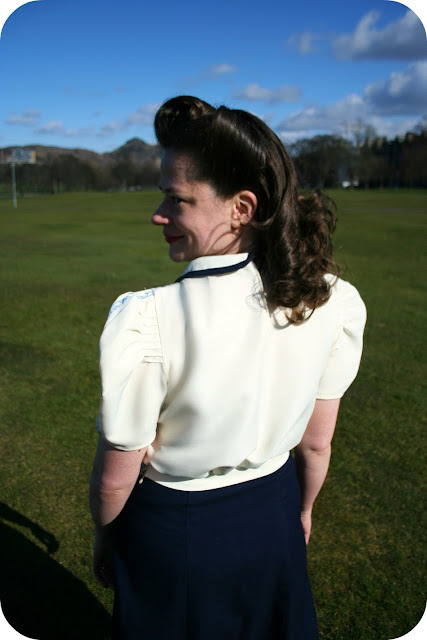 I also am really happy with my hair, which I had done at my favourite vintage salon in Edinburgh (Miss Dixiebelle). How fun is that? 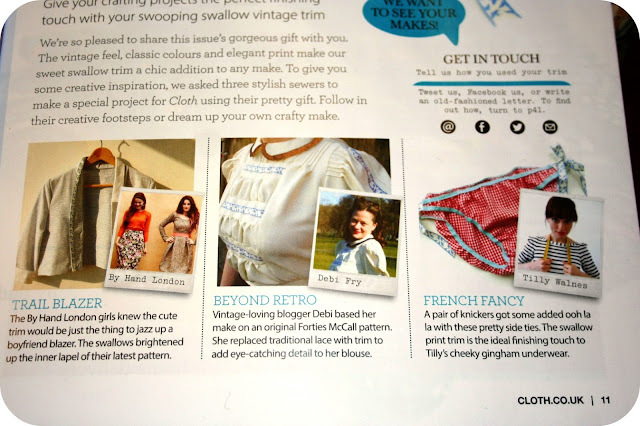 A super big thank you to the folks at Cloth Magazine for including me! When David and I were down in Birmingham last weekend, we made a trip to Aston Hall (which is located in the area called Aston about 20 minutes from the center of Birmingham. 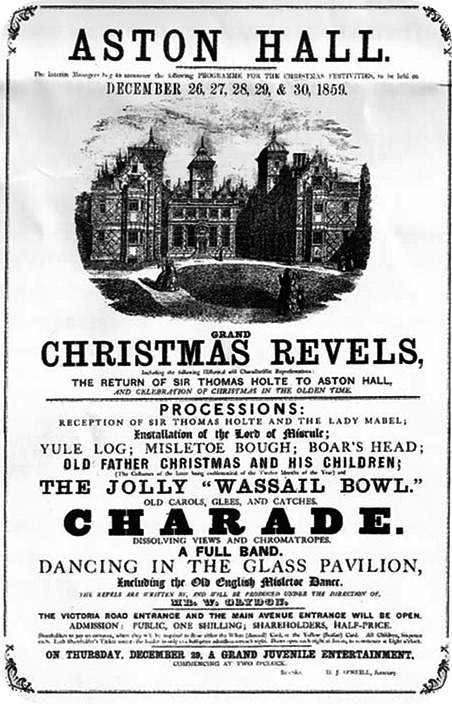 As an aside, Aston was also the birthplace of HP sauce back in the day...). 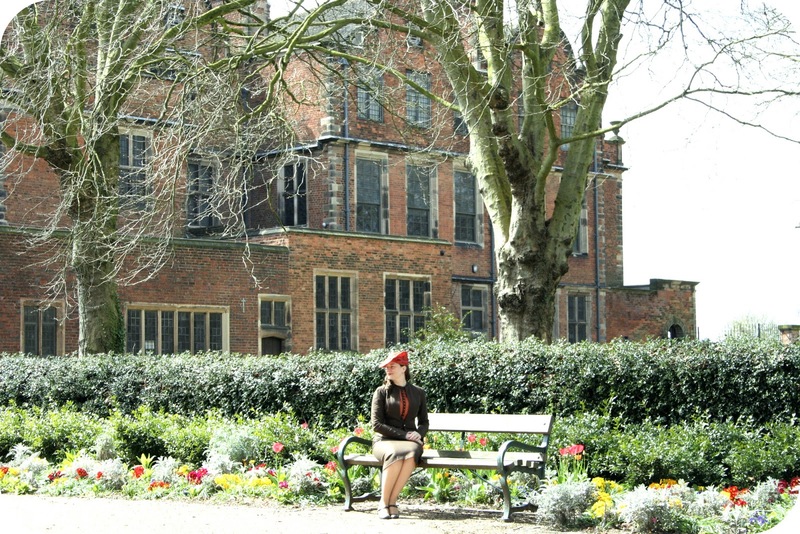 This magnificent building is built in Jacobean architectural style, which basically means it was built during the reign of King James the VI of Scotland and King James I of England (i.e. 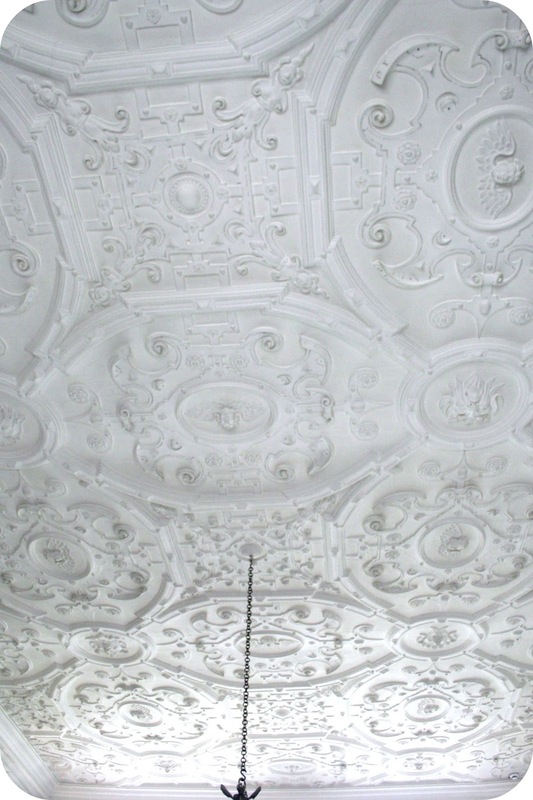 early 1600s). 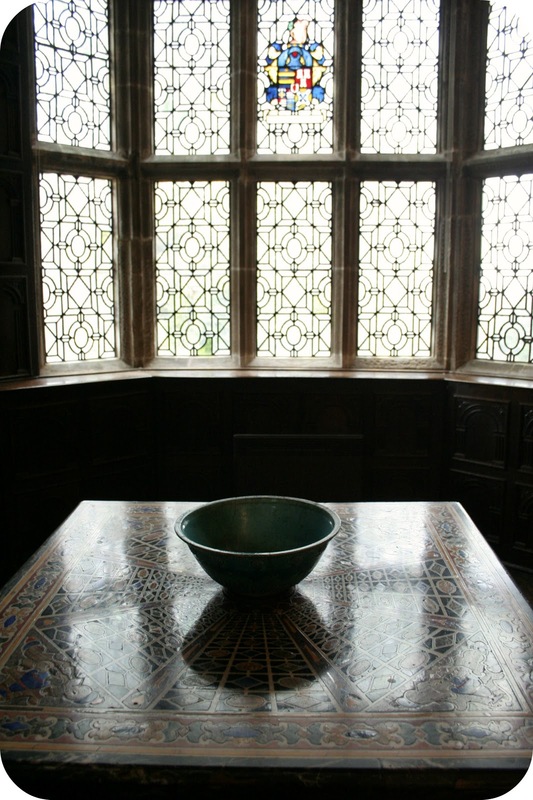 I think I have found my FAVOURITE architectural style--seriously, I want to go and visit every other Jacobean style building in the UK!! Despite visiting the Hall on a Sunday, there was hardly anyone there (which is a shame, really). 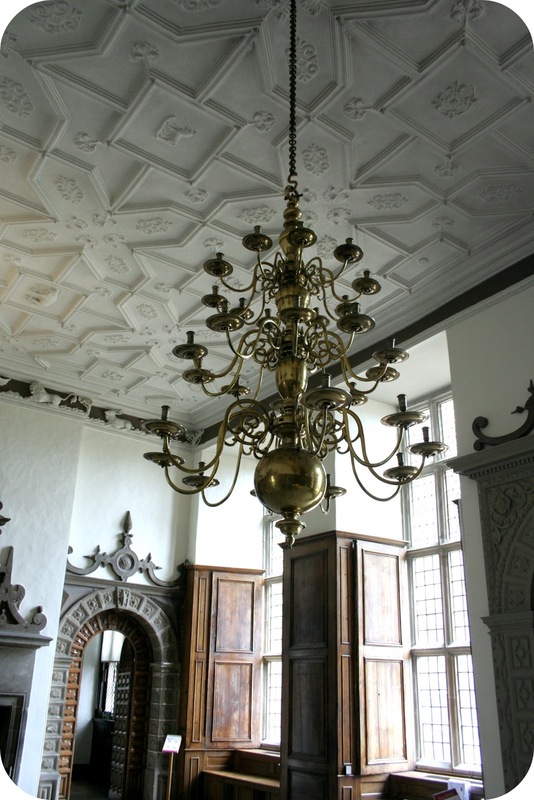 But it did allow us to get some great shots of the house (they allow photography inside). 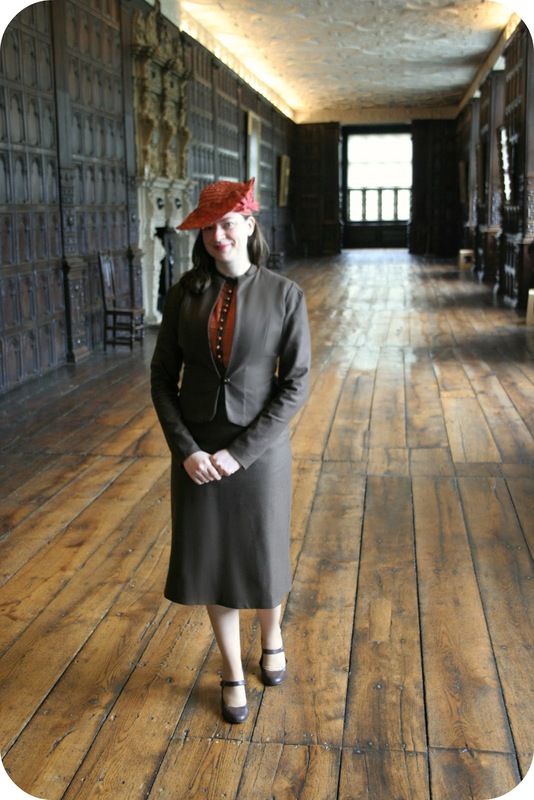 One of the most awe-inspiring rooms is the Great Hall. What you can't see from the photo below are the intricate details in the wood panelling, the impressive hand carved original marble fireplace, the original floors and another amazing plasterwork ceiling. 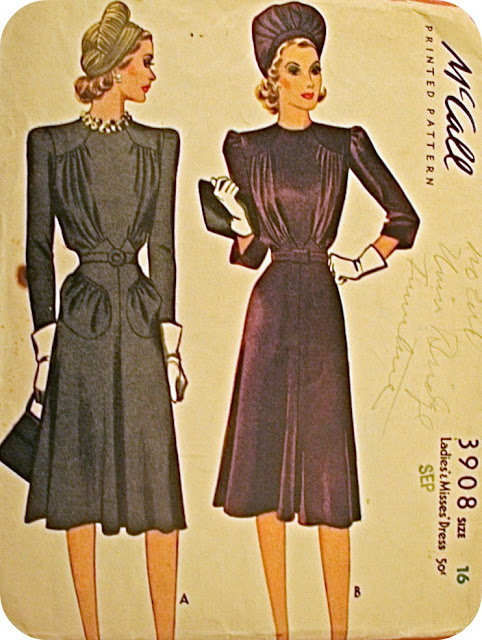 I wore my 1937 'Birthday Dress Suit' (McCall 9156) and my matching 1930s hat. 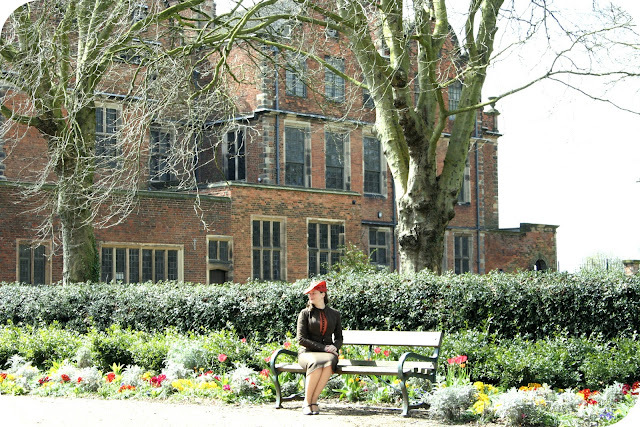 I definitely felt like I had walked onto the set of Downton Abbey! 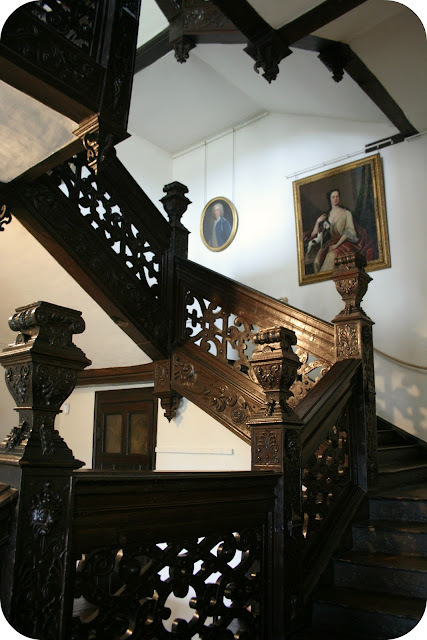 The history of the house is fascinating--it saw battle (the Great Siege of Christmas Eve) and even had cannon fire that destroyed a part of the staircase. This was from the battle between the King and Parliament with Sir Thomas Holte pledging loyalty to the King. Aston Hall is now a community museum managed by the Birmingham Museums Trust. I highly recommend a visit if you are ever in the Birmingham area--it's just a short taxi ride from the main part of town. 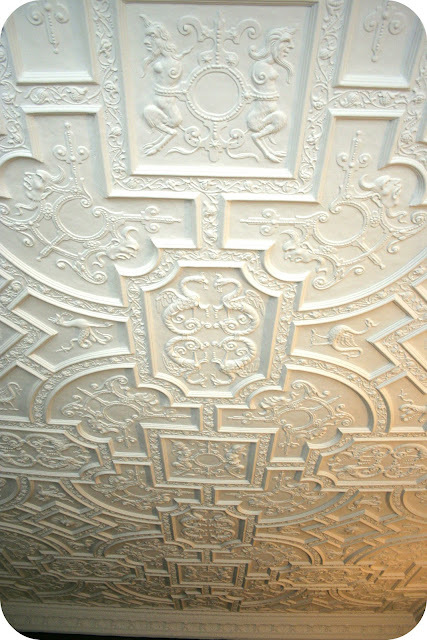 It's so beautiful and well maintained. A real hidden gem! And check out this neat article by Britain magazine with some photos of Jacobean houses in the UK. 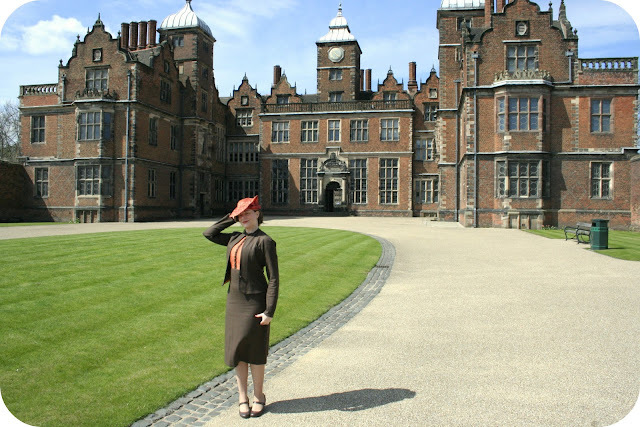 Have you been to Aston Hall? 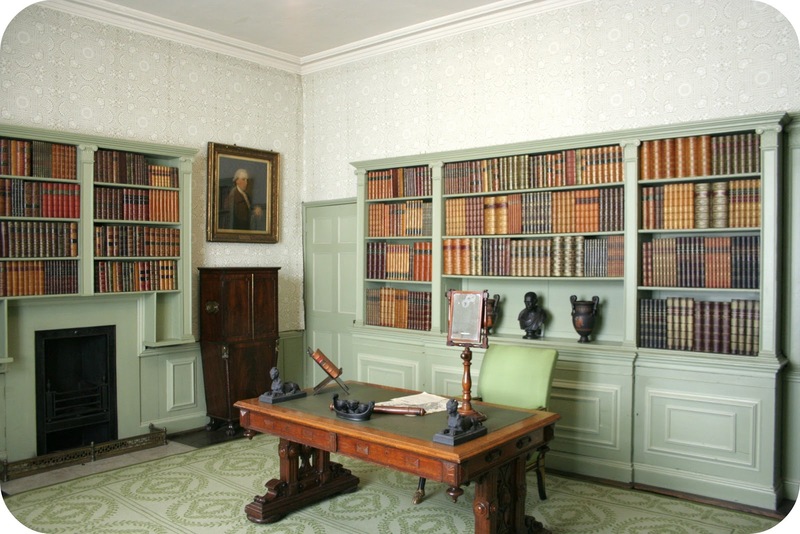 What's your favourite historical house?